Pinocchio marionette in sitting (squatting) position. 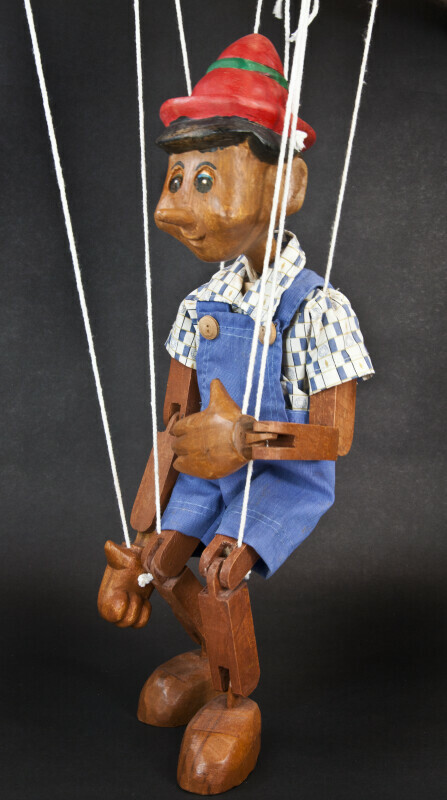 The puppeteer is using the strings at Pinocchio's shoulders, knees, elbows, and wrists are being used to manipulate him into this position. He is made from molded wood and wearing blue dungarees and a checkered shirt. This figure stands 18 inches (46 cm) tall. WARNING: You are about to download a 24.8 MB TIFF!